The Zoll AED Pro is a solid defibrillator that has everyone covered. From seasoned rescue professionals finding themselves in a variety of harsh conditions to the layperson rescuer in a small office, the Zoll AED Pro has combined ruggedness with simplicity and ease-of-use, covering all bases while providing you and other rescuers the peace of mind that you're in good hands. 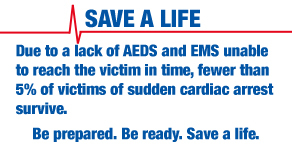 In short, the Zoll AED Pro is a defibrillator that will have you covered for years, no matter the situation. The Zoll AED Pro is one of the most rugged and resilient defibrillators, being one of few AEDs to receive an IP55 rating (meaning the device is resistant to dust and direct water spray). 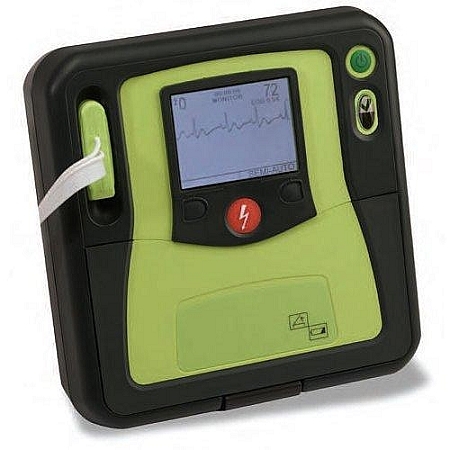 In fact, this Zoll defibrillator is made of Polycarbonate Siloxane (the same material football helmets are made of) and has an additional overmold of Thermo Plastic Urethane. Whether the field means the deserts of the Southwest or canneries along small coastal towns, the Zoll AED Pro is a defibrillator that will perform time after time in some of the harshest and unique conditions available to Emergency Medial Service providers. Continuing to cater to rescue professionals, the Zoll AED Pro also features both a semi-automatic and a semi-automaitc with manual override version, enabling you to deliver treatment on demand and based off of your own observation of the situation before you. The Zoll AED Pro also features a high-resolution LCD display for Lead II monitoring, displaying your patient's vitals, such as their ECG waveform, heart rate, shocks delivered and even the CPR compression depth. These features are for the professionals with years of experience, yet can also be appreciated by anyone considering the Zoll AED Pro. The Zoll AED Pro even extends its ease-of-use and usability after the rescue. Download patient and rescue data in minutes from your Zoll AED Pro, utilizing Zoll's free RescueNet software and data transfers via a simple USB flash media drive. After performing a rescue with your Zoll AED Pro, you'll want data of the situation, and having this process simplified will be appreciated by anyone that has just had to utilize their Zoll AED Pro. And now features of the Zoll AED Pro that anyone can appreciate, let's begin with Zoll's coveted one-piece CPR-D padz. Rather than the usual 2-piece style that most defibrillators feature, the Zoll AED Pro features one simple pad, freeing up a bit of time for you during situations in which time is everything. Prefer the 2-piece pad you've familiarized yourself with over the years? 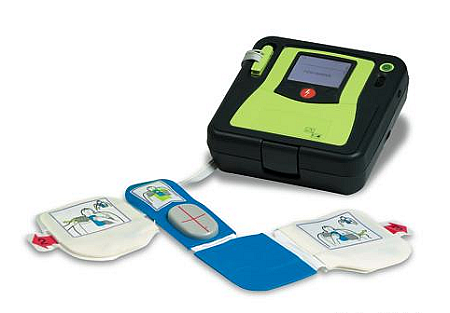 No worries – the Zoll AED Pro is fully compatible for both two-piece and one-piece electrodes. Choice also reigns for your preferred battery style. The Zoll AED Pro can run off of both Zoll's standard SLA battery backs or rechargeable lithium-ion battery packs, providing you with longer run times and greater capacity for your life-saving defibrillator. In summation, the Zoll AED Pro is an amazing defibrillator that has nearly any and every rescue professional and layperson covered, no matter the situation and its severity. The price is more than fair for the Zoll AED Pro's extensive features and rugged durability, and with its ability to stand up to the harshest of conditions you can rest knowing that your Zoll AED Pro AED will be with you for years to come.